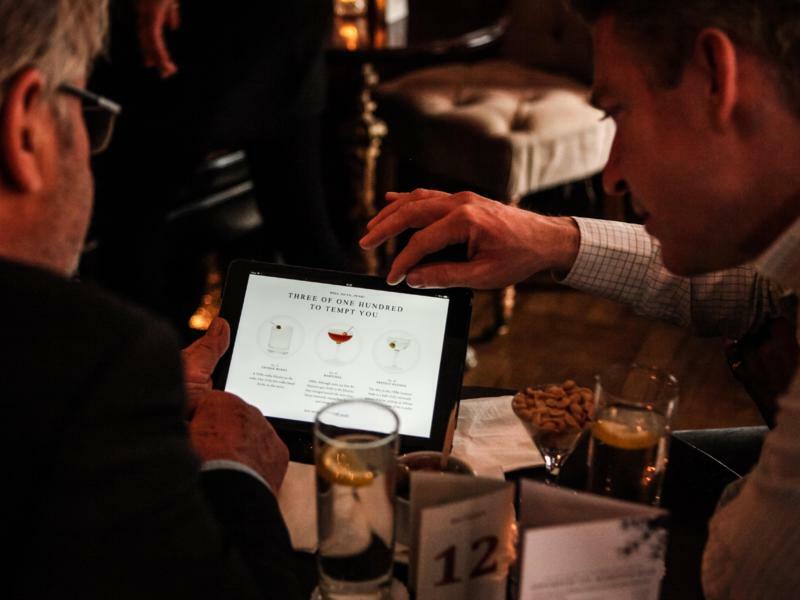 The Sipsmith 100 Martinis app uses a fleet of iPads to give customers cocktail recommendations based on their popular culture tastes. Once customers choose their drinks orders are sent to and automatically printed at the bar and then mixed at the table. 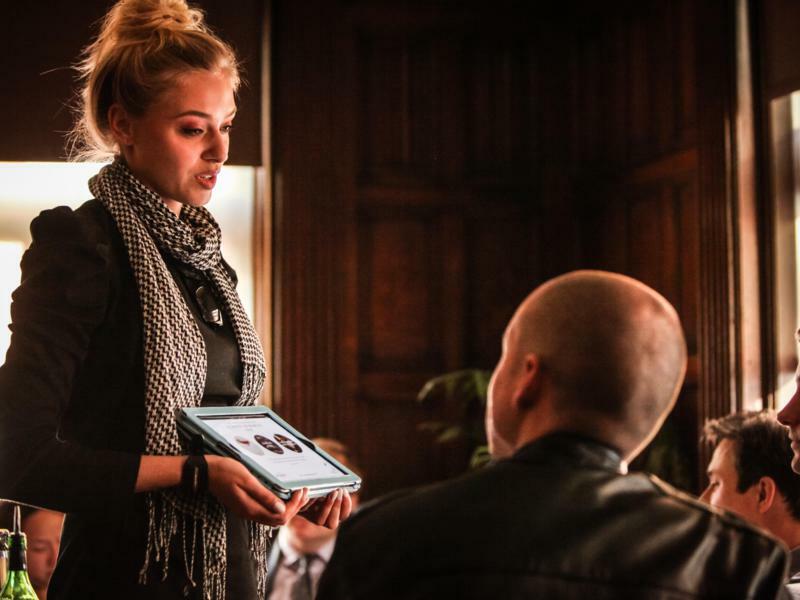 A futher iPad is used by bar staff to keep track of the devices and judge when to deliver the order. 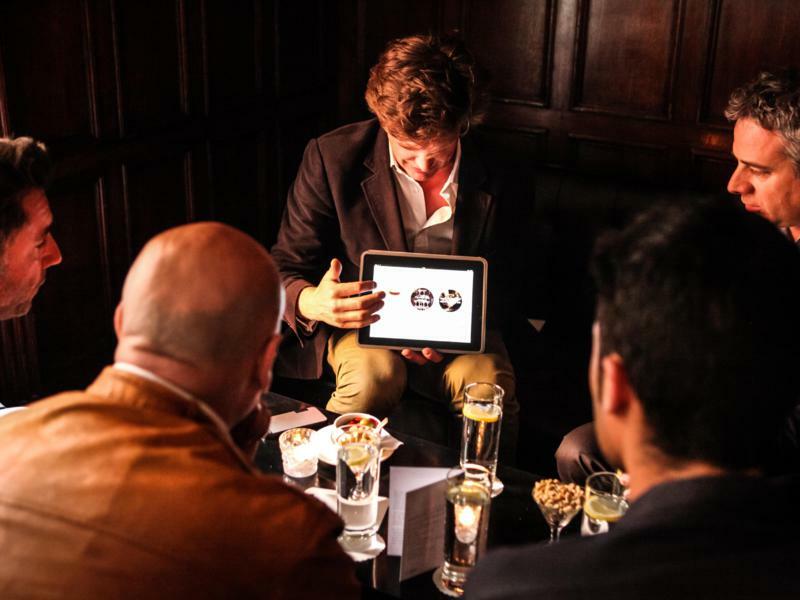 The system was designed with a local server setup to withstand losses of internet connection while still being able to send follow up emails to each customer thanking them for their attendance and instructing them on how to make their chosen cocktail at home. Immersive experience to choose cocktails. Bartender interface to manage tables. Automatic printing of orders and recipes. 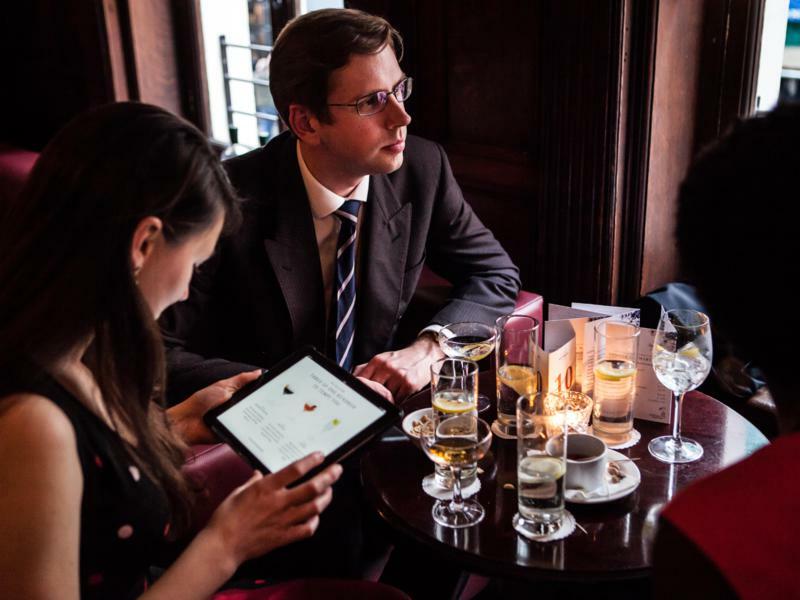 An iPad app for cocktail ordering. Local server for offline operation. Happy customers and fantastic press. It's a real pleasure working with D3R. They are in a league of their own. Not only do they share our love of a great gin and tonic, they have an invaluable wealth of experience and continue to exceed our expectations!